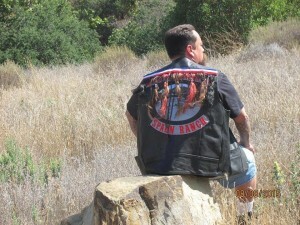 LA Beat Article: "Stoner Van Houten - Guardian of the Ranch"
"I want to show the positive side of Spahn Ranch." Says ranch caretaker and history buff Stoner Van Houten. Local Manson expert Stoner Van Houten dedicates most of his time to preserving the history and upkeep of Spahn Ranch for anyone who wants to come and see the sights for themselves. He's made numerous YouTube videos chronicling his ranch visits. He's also happy to take people on sight-seeing hikes, bestowing his knowledge with little known facts, anecdotes and his own experiences. 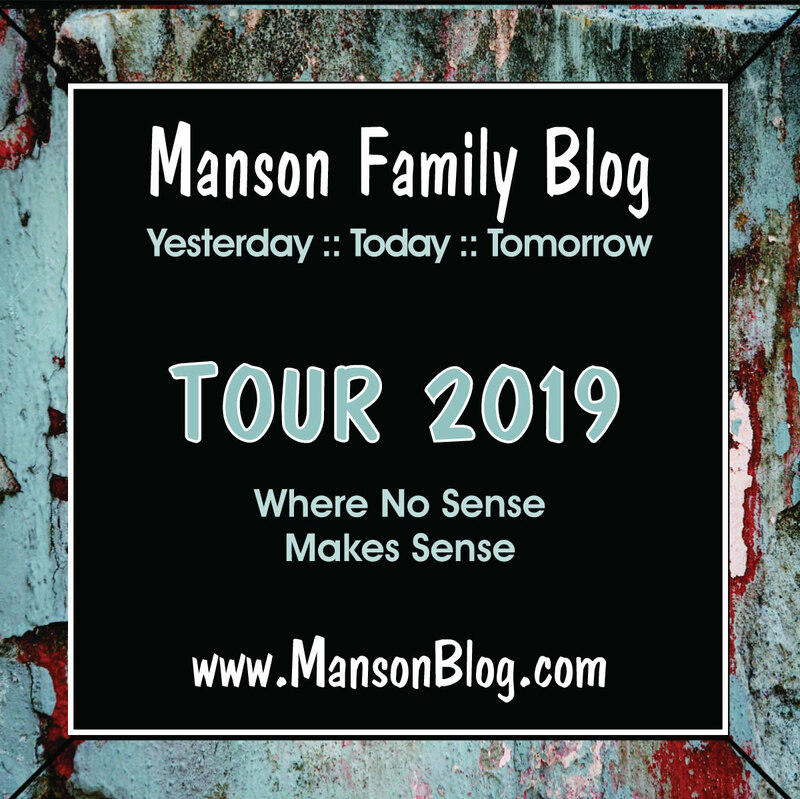 He'll take you to places, other tours won't or don't know about, surprising even the most educated on Manson history. He portrays a genuine love of the area, taking pride in care-taking the land. He's cleaned up graffiti in the Manson cave several times. He's even caught a supernatural occurrence on film during one of his older ranch videos with Manson expert, collector and mentor Michael Channels. He's also a history and geology teacher of sorts showing how the land has changed from time, weather and erosion. He admits that many people think what he does is morbid and ‘glorifies' that period. He's been to the ranch thousands of times and besides two unexplained events he's never experienced any bad vibes, events, happenings or hauntings. In fact he finds the area peaceful and inspirational. After all "it is a state park" he says and has seen many people in his visits including walkers, hikers and people just coming to see the place on their own. 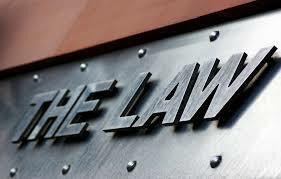 He encourages people to seek legit information, look up case files and find out for themselves. Not rely on sensationalistic books and movies. He has his opinions as everyone does. However he admits he's not the first to do what he does and was introduced to the Manson saga by Channels. There are things he probably doesn't know about the cases and history that others within his group and network do. He knows that even though the Helter Skelter motive is widely accepted by many at face value, the real history and motives were much different and he's trying to get that information to the public. 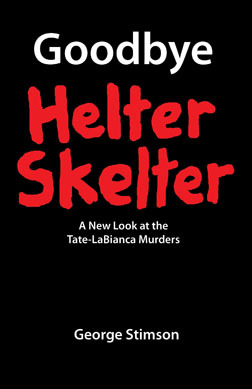 He encourages anyone interested to pick up George Stimson's Goodbye Helter Skelter focusing on Tex Watson's involvement. Van Houten has made numerous on location videos at the ranch along with many Manson related locations in LA and the Haight, Ashbury district in San Francisco where Manson began recruiting women after his prison release and The Russian Embassy. He's also been to the former house of Sandra Good and Lynette Fromme in Sacramento. He's filmed in front of the Hall of Justice at Temple and Broadway where the girls held their trial long vigil, and the tree where Fromme gained infamy for trying to shoot Gerald Ford. He's been to Ballarat near Death Valley and Barker Ranch where Manson and the family were arrested. More recently he received a personally signed note with photos from (Blue) Sandra Good, thanking him for his work at the ranch. He's led the way to the Zodiac car, the baby caves and recently found the remote area where the outlaw shacks once were. 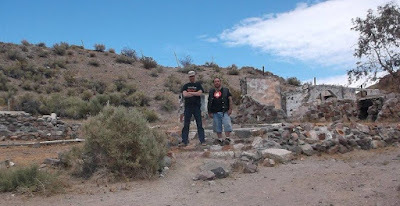 A while back with help from Channels, they uncovered the truck frame laying hillside under the main area, believed to be the truck with the Spahn Ranch sign in vintages photos, later debunked by Pete Porteous. In January, he did an on location video interview with Porteous, who as a 10-year-old boy was mentored by ranch hand Donald "Shorty" Shea, later murdered by the family. Porteous gave invaluable first-hand knowledge of life on the ranch and personal insight of the happenings and power structure between the ranch hands, bikers and Manson. He also gave insight into experiencing the ranch through the excited, magical eyes of a child, being at the ranch for the first time in over 40 years. His training with Shea turned into a 30 year career as a stuntman. He talked about riding to the ranch on his minibike wanting to become a stuntman. Ironically, the first person he met on his first trip there was Manson. He and Shea hit it off and Porteous learned the safe way to run a chainsaw, ride a horse and do a saddle fall under his mentorship. Shea christened him "The Kid." He talked about the group barbeques, the live music and the Wild West shows. He described the ranch as a very happy place. It's a shame that no historical landmarks documenting what was there have been placed due to a short period of time at the end. Porteous said contrary to widespread belief, Manson did not control the ranch. The ranch was a business and Charlie was not the dominating force as media has portrayed. The family was kind of a separate group in a different area occupying the same large space. As far as Manson being a dark powerful figure, he had influence over the family but not the rest of the ranch occupants. Porteous said, besides the girls, the cowboys and ranch hands didn't pay much attention to the family. Van Houten with Mansonblog.com, Michael Channels, Pete Porteous. Though most of the ranch's history has been forgotten and eclipsed under the shadow of the family, their stay only lasted roughly two years. The ranch burned down in September 1970 during the Tate/LaBianca trial. The ranch itself was owned by silent film star William S. Hart and purchased by George Spahn in 1948, giving it its name. In its heyday many westerns, movies and TV shows were filmed there including Duel in the Sun, The Creeping Terror, Bonanza, The Lone Ranger and Zorro along with various cigarette commercials. By the time Manson and Co. got there Spahn was 80 and the ranch was in severe disrepair with horse rentals being the main income source. Among lesser known local spots, Van Houten has taken people to the Munch Box where Manson ate hot dogs waiting for the girls to get off work. One of the actual ‘garbage run' grocery store back lot dumpsters dived in by the girls. The Candy Cat bar where Susan Atkins (Sadie) danced. Gypy's Waterfall, (a name bestowed years later) a ‘natured' off the path spot and hard to find unless you know exactly where to look. Seeing it up close you can imagine what the lay of the land would have looked like without modern developments as Chatsworth was considered ‘out in the woods' back then. 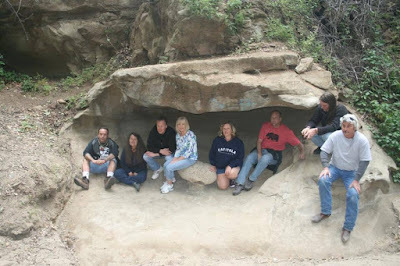 The waterfall usually doesn't run due to the draught but you will see the exact spot where the family stood and bathed under the water from Robert Hendrickson's Inside the Manson Gang DVD. Once at the ranch, you'll see the tree riddled with bullet holes that the family and the Straight Satans used as target practice. He'll point out a vintage tree that can be seen in some old shots of the ranch days. You will see the pile of rock, concrete and debris that was dumped over the side by bulldozers after the fire that destroyed the ranch and left to be forgotten. The first thing seen walking up to the main area is the dirt mound where Spahn's house once stood. He will point out some vintage rocks, a piece of the concrete foundation from where a fuel tank once sat and one of the last remaining manmade remnants of the ranch days, a telephone pole burned in the fire. Many people from around the world enjoy his videos, hoping to someday walk the trails. He has announced through Facebook that he will be going on to the next chapter of life and moving north soon. Before he leaves he's doing a "31 Days of Spahn Tour," filming a daily video and taking viewer location requests. He will try and return from time to time and hopes people will follow his example and keep the place nice for those who come to see history. Van Houten's videos can be found on YouTube under spahn ranch worker, Michael Channels' videos under MichaelsBackporch. mike said he would like to be my ghost writer if i ever write a book ...lol..
maybe .??.. will see. ?....THANKS ANNE FOR BEING MY CAMERA WOMAN ON MOST OF MY VIDEOS !! 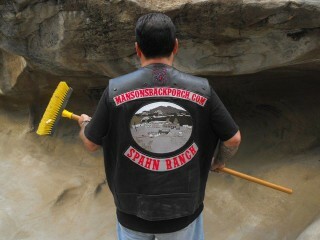 !....and thank you mansonblog .com FOR ALL THE EXPOSURE YOU HAVE GIVEN ME, you are great people and great friends !!!!! That's HOW you identify a TRUE American. He has a broom in HIS hands and cares for a State Historical Site - WITHOUT government pay. When is the last time you saw one of those ? You are most welcome, Stone Man. With all the ugliness going on in the world, You read something like this and it puts a smile on your face. My hat goes off to you my friend. There is a new TV series coming out called American Crime Story. The first season is based on OJ Simpson but unlike most multi- episode crime shows. This one has some pretty big names playing out the parts. John Travolta plays Robert Shapiro. Cuba Gooding is OJ. There are several recognizeable names in the cast so they seem to be giving it serious effort versus the usual cheese. Stoner, I'd love to hear about the supernatural experiences hinted at in the article, if you'd like to share. Creepy-crawly stuff! Truly is a weird world we live in. I saw a UFO once but I was about 18 cans of Emu Bitter deep, so who knows what it really was- probably just an angel, or Spring-Heeled Jack jumping through the sky really fast. I look at this POST and wonder: "Where is all this going" ? Then last night I saw part of a doc on the "Wailing Wall" in Isreal. After the Romans destroyed the Temple Mount and massacred all the JEWS, 2 thousand years later, the Jews built upon the remaining foundation of the "WALL" and made it sacred. So NOW they have a contemporary "rememberance" to last until the NEXT big massacre. So how about a "wall" to be built on the old Spahn Ranch property -just like the Vietnam Wall in Washington. I mean the politicians in DC got a "wall" cause THEY started the WAR, so how about a "wall" for those dirty / smelly hippes WHO ened it ? AND for God's sake, WHY doesn't Calfornia, more specifically LA, get something really expensive to "remember" such a great American "OOPSy - dazay."